In 1982, the Federation Internationale Sportive d’Automobile introduced a completely different set of regulations governing the three biggest expanses of motorsport. Over the years the organizations numbers-based system had gotten incredibly muddled and confusing, so the FISA moved to incorporate a new layout based on the alphabet. Group A and N would cover rallying and touring car racing, while Group C reinvented sports prototype racing. The main goal of the grand revolution had been to adapt motorsport to a changed, more fuel conscious world in the wake of the fuel crisis of the 1970’s. With that in mind, both Group A and C limited the speed of the cars with strict homologation regulations and fuel limits. For Group B though, the FISA took a vastly different direction. The Lancia Stratos was the first car specifically designed for rally racing. Following the rise of rally racing in the 1970’s, the FISA wanted to play into the hands of eager manufacturers looking to take a slice of the lucrative new cake. 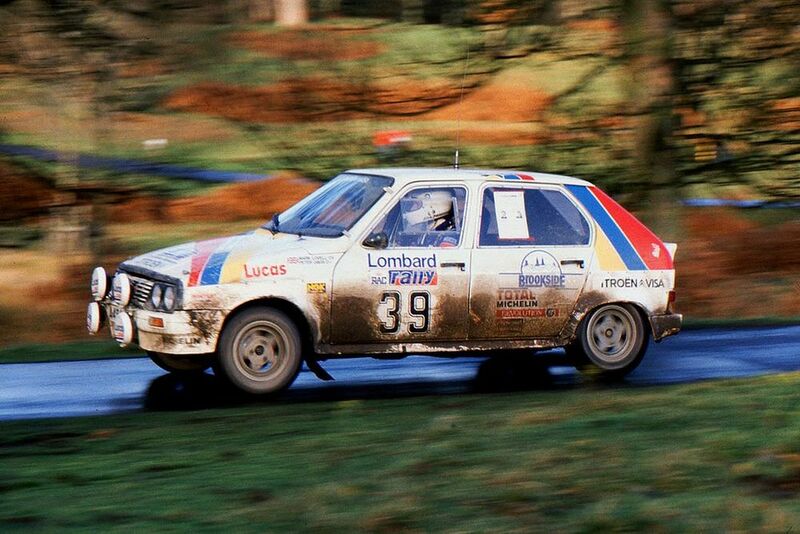 In the early years, rally cars were nothing more than slightly tweaked road vehicles. In 1974, that situation changed drastically. Italian brand Lancia introduced the extreme Ferrari-engined Stratos, which had been created with a single purpose: to win the World Rally Championship. 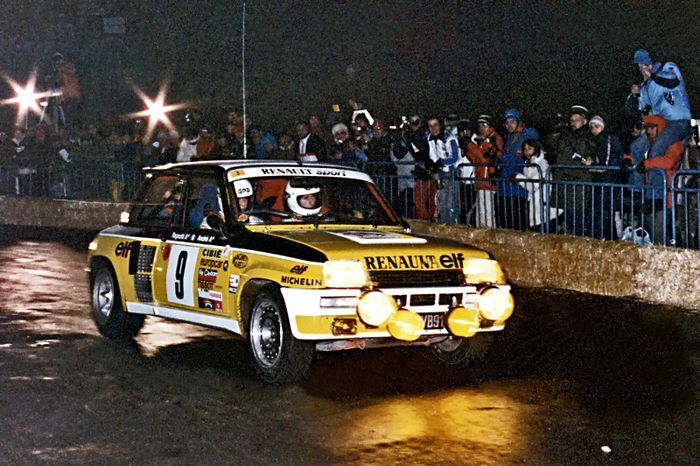 The car’s immense success prompted a response from Renault with the 5 Turbo in 1980, which in turn was attacked by the innovative four-wheel drive Audi quattro. Renault applied the lessons learned from the Stratos to an ordinary family hatchback. The technological arms race forced the FISA to act, since it was becoming ever more difficult to properly homologate the car to Group 4 specification. Additionally, most manufacturers couldn’t afford to produce 400 examples of a dedicated model, which put them at a significant disadvantage. In respoinse to this, the FISA created Group B. This new category lowered the homologation limit to 200 cars, and even gave an option for 20 “Evolution” models. With the only real restrictions based on engine size and a corresponding minimum wight limit, Group B was the most liberal racing formula since the days of Can Am. Group B became the most extreme era in rallying the world had ever seen. By 1985, Peugeot, Toyota, Renault, Audi, Mazda, Lancia, Ford, Nissan, Opel and Citroën had all seen action in the championship. However, most of these brand focused exclusively on the upper echelons of the sport. Big turbo’s, massive power figures and dizzying speeds were the name of the game. Despite the immense focus on the biggest monsters though, Group B hadn’t forgotten about the little man. In the under 1300cc class, the rules were as liberal as they were at the top. Low publicity for these little tykes meant most manufacturers didn’t bother with making specialized miniature rally weapons however, leaving the four wheel drive Citroën Visa Mille Pistes to reign supreme. The Visa's four wheel drive system made it the king of the midgets. One small car manufacturer was keen on ending the French firm’s unchecked dominance. Japanese Kei-car magnate Daihatsu was looking to expand its image overseas, and saw the world rally stage as the perfect means to do so. The company had built its reputation on tiny, practical and amazingly dependable boxes on wheels to navigate the streets of Japanese megacities. The Charade represented a major step for Daihatsu. Driving pleasure and sporting pedigree were therefore not things the general public associated with the brand. In an effort to change this, Daihatsu collaborated with Argentinian sportscar mogul Alejandro DeTomaso, maker of the extravagant Pantera. Very little time was wasted consummating the relationship. 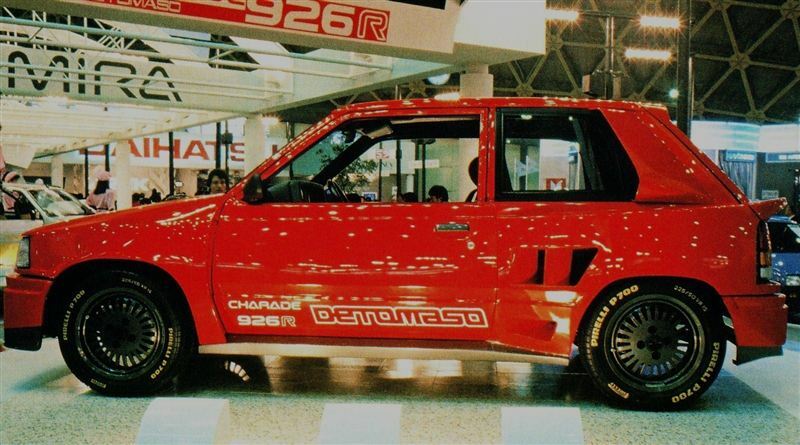 The top-spec Turbo-model of the Daihatsu popular Charade received some neat DeTomaso stickers and a killer two-tone paintjob. With the DeTomaso partnership firmly established, Daihatsu started to develop its plans for a dedicated Group B rally weapon. First point of business was finding a suitable engine. With their thinking caps on, the engineers selected the 12-valve, 993cc, electronically fuel injected three cylinder CB60 engine from the Charade Turbo. Daihatsu's advanced three-cylinder gave the Charade a unique flavor. In stock trim, this minuscule coffee maker made a healthy 80 horsepower, so the first thing Daihatsu did was make it even smaller. Group B’s engine equivalency formula dictated a x1.4 multiplying factor for turbocharged engines, which put the CB60 over the 1300cc limit by 90,2 cc’s. In order to meet the limit, the engine was taken down to 926 cc, giving rise to the name 926R. After extensive fettling, the mini monster produced some 118 horsepower at 6500 rpm and 147 Nm at 3500 rpm. The IHI RHB32 turbocharger used was so small, the car had no need for an intercooler. This freed up space and saved weight. 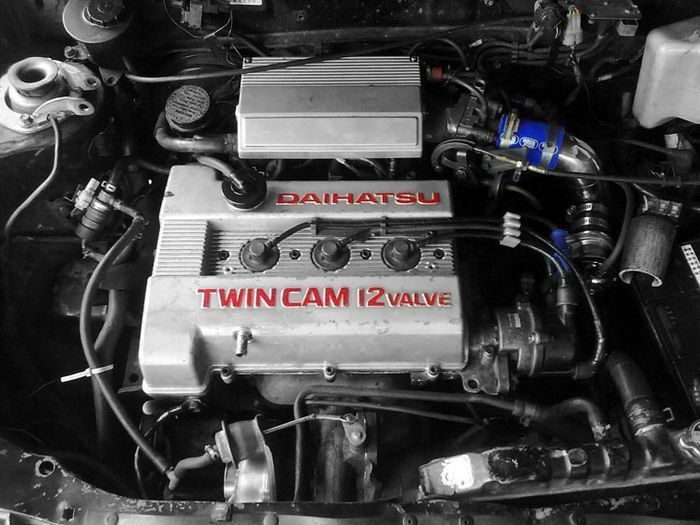 With the engine sorted, Daihatsu did what no other 1300cc competitor had done before: exploit the rulebook to the fullest. Citroën’s half-hearted attempt of an extreme 1.3L car had reached the top with relatively little modification, leaving the Japanese confident they could do much better. Taking a page from Renault’s book dating back to 1981, the engineers decided to move the potent powerplant to where the back seats where supposed to be. A five-speed manual transmission then connected the three cylinder to the rear wheels only in a bid to keep the car as light as possible. To accommodate the drastic changes, the Charade sprouted large intakes and outlets on the sides and rear of the car, helping the engine breathe more easily. Additionally, the wheelarches bulged outward to contain 205-section Pirelli P700’s at the front, and 225’s at the rear. With the wheels pushed out to the very corners of the vehicle, the 926R offered vastly improved grip and stability over the standard car. According to the regulations, the total package was allowed to weigh only 800 kg (1764 lbs). Like the standard car, the completely in-house developed machine was slapped with some DeTomaso decals and bright red paint. Daihatsu completed the car in time for the 1985 Tokyo Motor Show, where it was shown to the world for the first time. Sparing no expense, the Charade was put on an immaculate stand and flanked by two gorgeously dressed women. The 926R was a real hit with the Tokyo crowd. Helped by the seductive girls, the bright colors and its wild styling, the Charade took the Tokyo Motor Show by storm. The car was received incredibly positively, swiftly becoming the star of the show. Among the sea of grey plastic dependability, the frivolous Charade gave the average buyer a fantastic vision of what seems like an alternate reality. Unfortunately, while Daihatsu was arranging the 926R’s transition into production-ready status, Group B met a swift and brutal end. The excessive speed of the big guns coupled to truly dreadful crowd control resulted in over 30 injured and four deaths at the 1986 Rallye de Portugal, as Group B rookie Joaquim Santos (POR) lost control of his Ford RS200. Another freak accident involving an RS200 occurred at the ADAC Hessen-Rallye, where former F1-driver Marc Surer (CH) slipped into a three-week long coma after losing his co-driver and friend Michel Wyder (CH) in a fire following a high-speed side-on collision with an unforgiving tree. Lancia had already lost driver Attilio Bettega (ITA) at the Tour de Corse in 1985, and exactly a year later their Finnish ace Henri Toivonen would suffer a similar fate. Under the influence of a terrible flu, he and American co-driver Sergio Cresto careened off a cliff on stage 18 Corte-Taverna. The Delta S4’s leather fuel tanks housed under the seats burst, and the pair burned alive, still strapped into their fiberglass coffin. After witnessing the rapid succession of tragedies, FISA-president Jean-Marie Balestre had had enough. For 1987, Group B and its successor Group S were banned from competition. As a result, Daihatsu’s ambitious rally program was made completely redundant. Stumped, the company cancelled all plans to put the 926R in production, and postponed its proposed rallying program indefinitely. Because of this, the Charade DeTomaso 926R would remain a one-off. 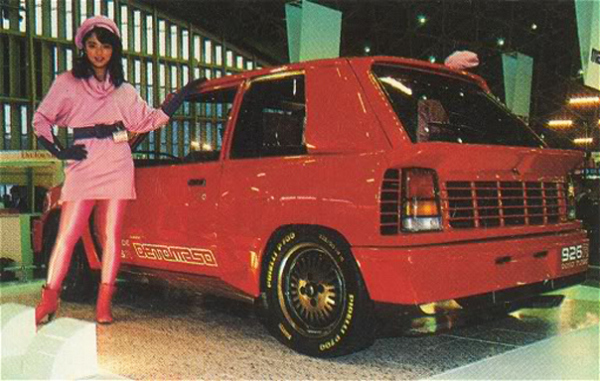 The Daihatsu Charade DeTomaso 926R was a bright idea executed at the darkest of times. Seeing a gap in the 1300cc class, the Japanese manufacturer hoped to apply the standard Group B tricks to the lowest ranks of the sport. The technical side of this plan had been executed perfectly, but a series of tragedies prevented the company from boosting its rather boring image. With the demise of Group B, Daihatsu’s rallying dreams died for good. The company would never attempt an international works effort ever again. Can Anything Be Done About the Time-Certain Sandown 500?